This chainsaw relief carving is about 5' high. The wood is oak from Dunham Park. It is situated in 'The Stallion Pound', near the Restaurant at the Park. I have been told that the Stallion Pound may be open to the public at some time in the future as an information point. 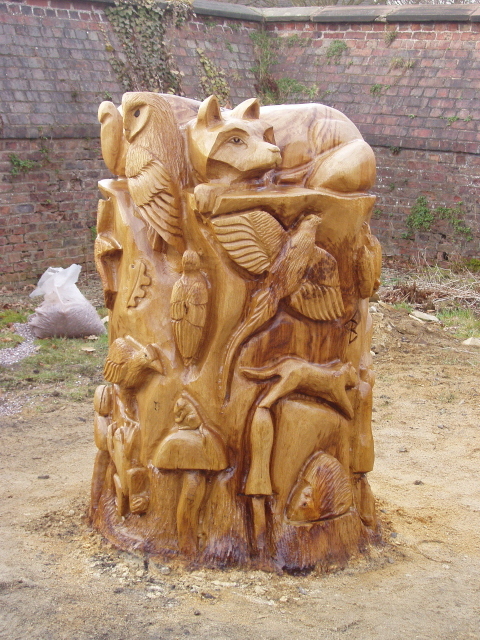 The carving illustrates some of the flora and fauna that can be found in the Park.